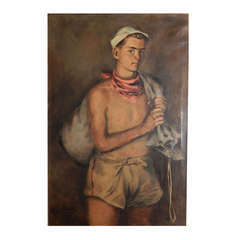 Painted by one of America's great masters of portraiture, this depiction of a male youth is brimming with warmth and life. 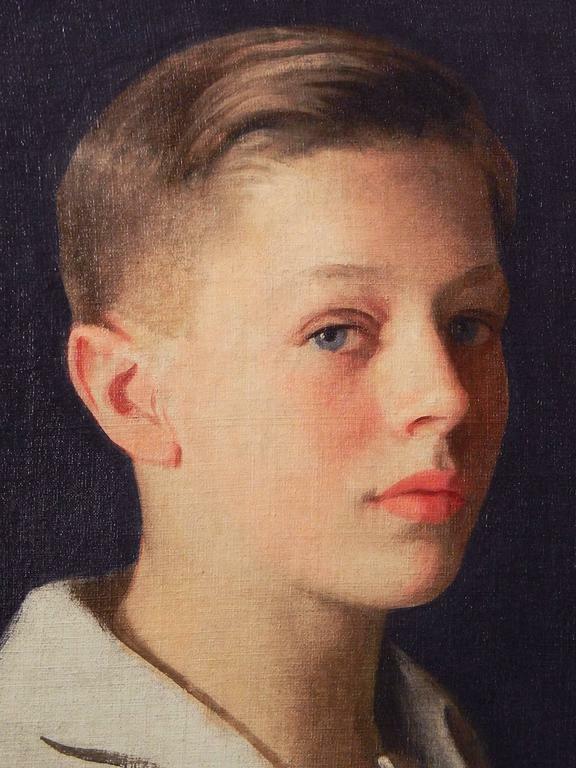 The boy pictured here, with his dark blond hair, blue eyes, and red lips, virtually leaps from the canvas, and is one of the finest paintings we have seen by William McGregor Paxton. 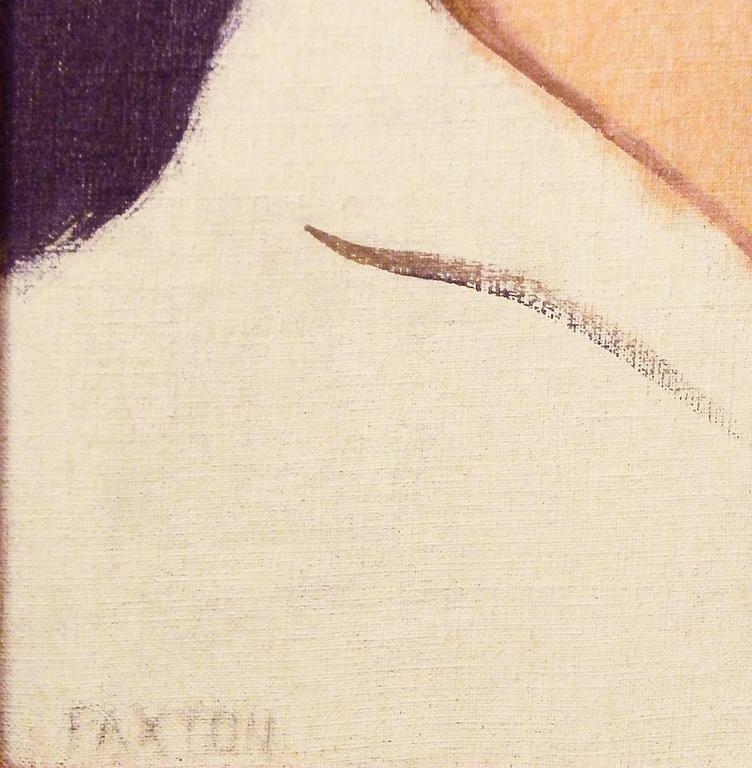 Interestingly, though Paxton completed the figure here, he never fully finished the young man's white shirt; apparently the painting was set aside and signed at some later point. Paxton is known for his gorgeous, polished portrayals of upper-crust America, including Presidents Calvin Coolidge and Grover Cleveland. Before moving to New York and New England, he was known as the "court painter of Philadelphia." 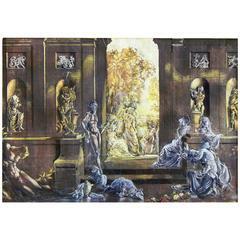 His paintings are in the collections of the Metropolitan Museum of Art in New York, the Museum of Fine Arts in Boston and many others. (Dimensions include frame.). 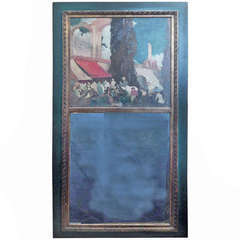 Painting has been cleaned and restored by a paintings conservator. 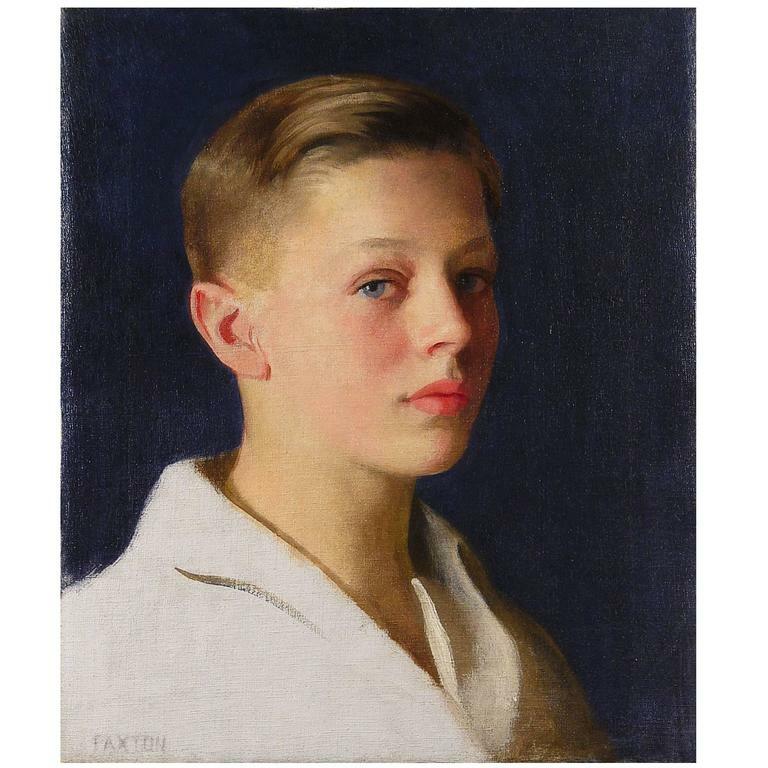 Portrait of a boy, Ismael by Belgian painter Danny Cobbaut, oil on canvas, 2016.